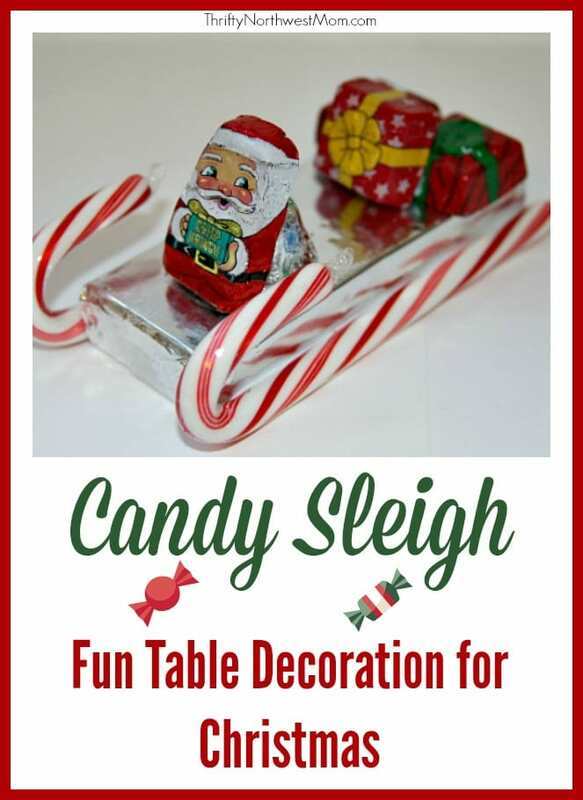 If you’re looking for a fun last minute craft to do with the kids for Christmas, here is a fun one! 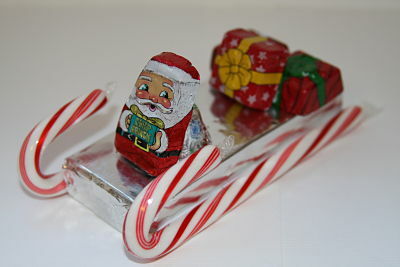 When I was in grade school making these candy sleighs was always on our holiday To-Do list. They are perfect for Secret Santa presents, a teacher gift, or as a present topper. It’s a simple, frugal way to add a sweet treat to your holiday gift giving. I had a hard time finding the smaller Junior Mint boxes but finally found them at Fred Meyer. The chocolate Santa and presents were from a Palmer’s Santa Sack, which you should be able to find for under $1 pretty much anywhere. 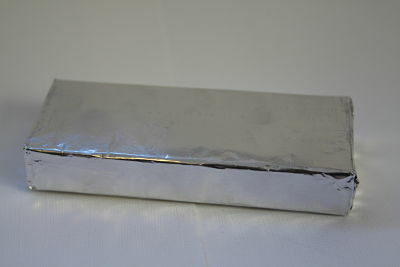 First step is to wrap the Junior Mint box in foil. Okay…since we are friends….I’ll confess that my first step was to eat the Junior Mints. But if you are giving this as a gift, I highly recommend you skip that step. 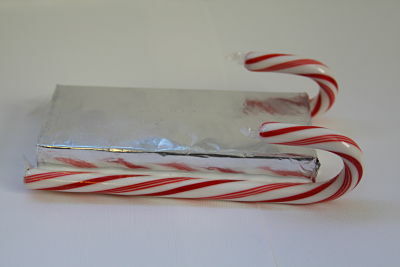 Next, glue the candy canes onto the wrapped Junior Mint box. I used craft glue for this, but you could use hot glue as well. I don’t have a hot glue gun, but I’m hoping Santa is going to bring me one. Lastly, use craft glue to attach the chocolate Santa and presents. I used one of the bells from the Santa Sack to act as Santa’s seat and to help keep him upright. I don’t recommend using hot glue for this part…I’d worry that it would melt the chocolate. 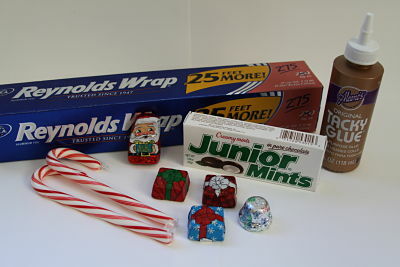 You can use any candy you want for this project, like a pack of gum for Santa’s seat or Starbursts for the presents. I’d love to hear your suggestions. Erin is a busy working mom and wife who loves a bargain! Her blog, Simply Frugal Mom, offers tips and information on crafts, recipes, couponing, organization, and other areas of frugal living. I built those using 2 mini kitkat bars instead of the wrapped junior mint and double side crafting tape makes things go so much faster! Ok- I am NOT a crafty person but even I CAN do that! Thank you!!! Exactly, Regina! And trust me, people will be impressed by your “craftiness”! Have fun.